The Harry Potter series of fantasy books make the wise and spooky owl a more popularly acceptable bird. 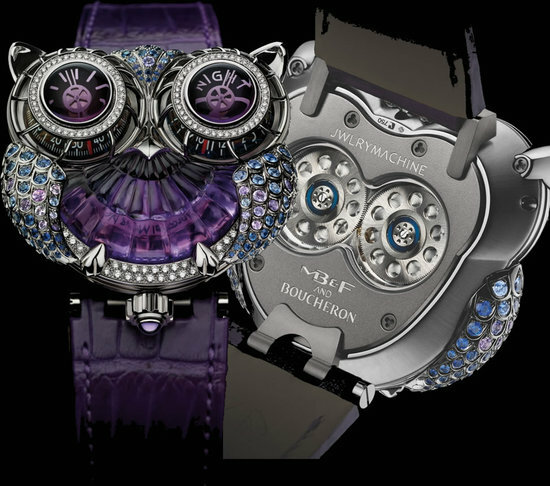 Otherwise the new The JwlryMachine timepiece by MB&F and Boucheron would have few takers even through the watch looks absolutely stunning! 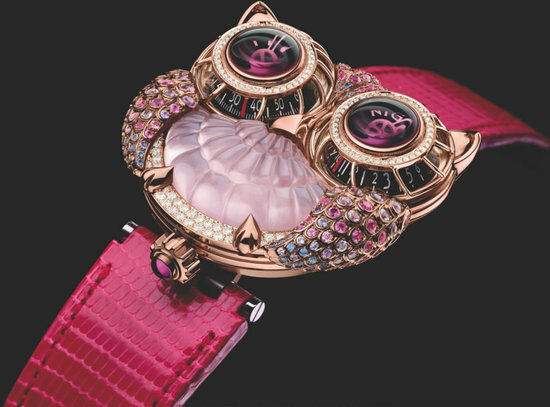 You read right chronographers MB&F and hot-shot French Jewelry makers Boucheron have collaborated to launch the JwlryMachine, an haute-joaillerie and a more winged version of MB&Fs Horological Machine No3 (HM3) from. 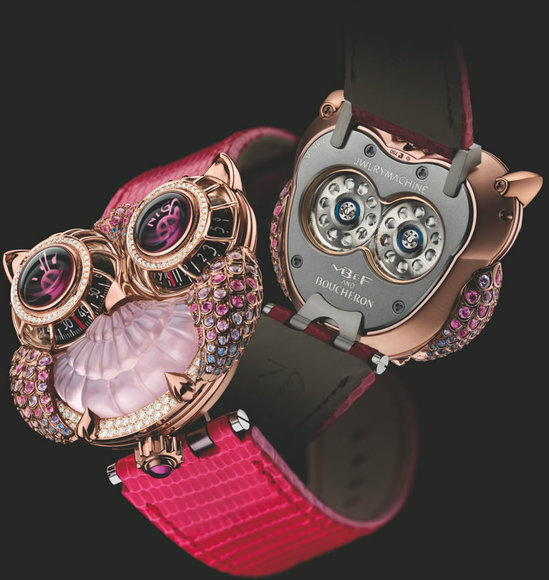 Keeping with the stunning design that took the world of watch making by storm, the JwlryMachine is the HM3 presented as a 3D owl studded in two options: an 18-carat white gold version with amethyst, diamonds and blue and violet sapphires or an18 carat red gold version studded with pink tourmaline, rose quartz, diamonds and pink sapphires. 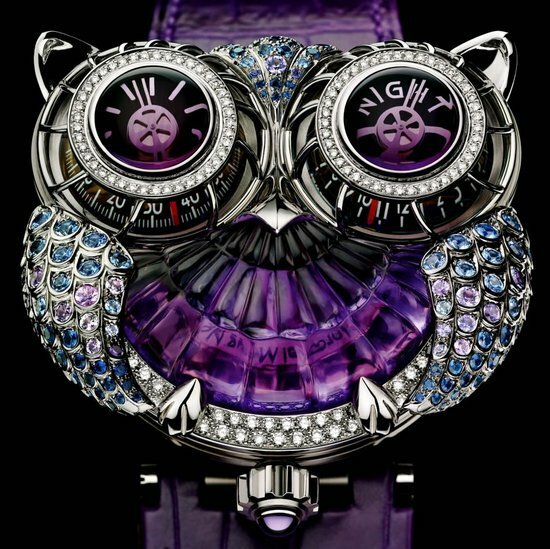 The eyes of the owl feature large glowing cabochons set over the twin cones, its wings are placed aroubd the HM3 engine, set in brilliant-cut stones. 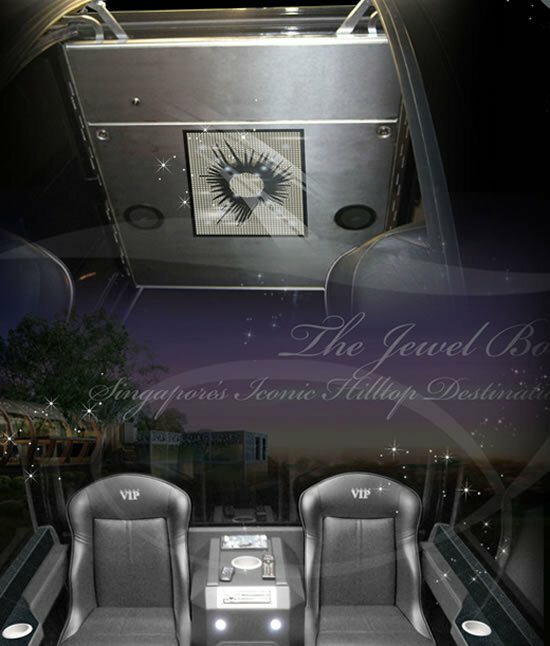 The breast of the bird id crafted from a single amethyst or rose quartz and the heart of the wise bird appears to be beating, thanks to a visual illusion created by the swings of battle-axe-shaped rotor placed beneath the semi-transparent stone. 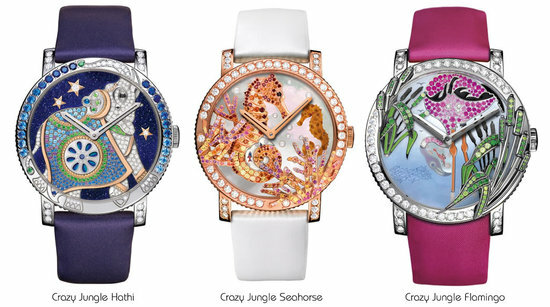 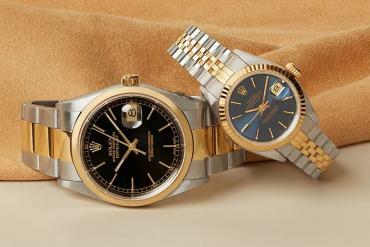 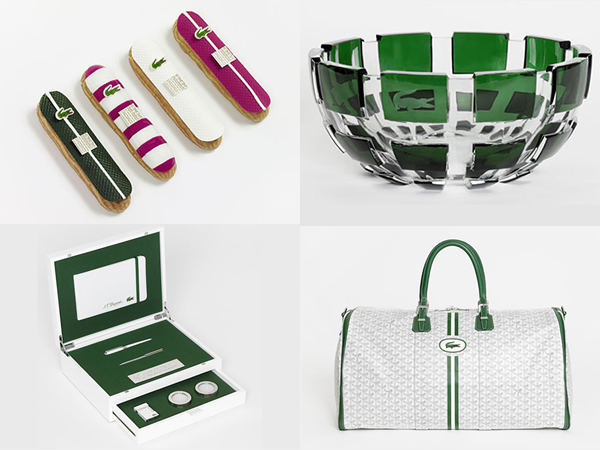 A must-have keepsake for every watch lover indeed!